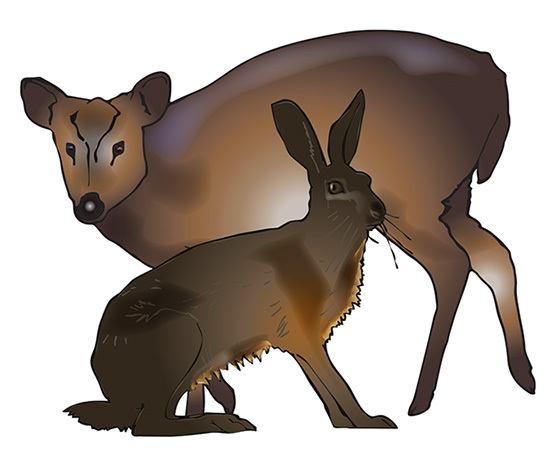 The aim of this guide is to assist in the identification of muntjac deer, specifically in comparison to roe deer, and provide guidance on control of the species in Scotland. Muntjac deer are classified as invasive non-native species under the Wildlife & Natural Environment Act (Scotland) 2011. 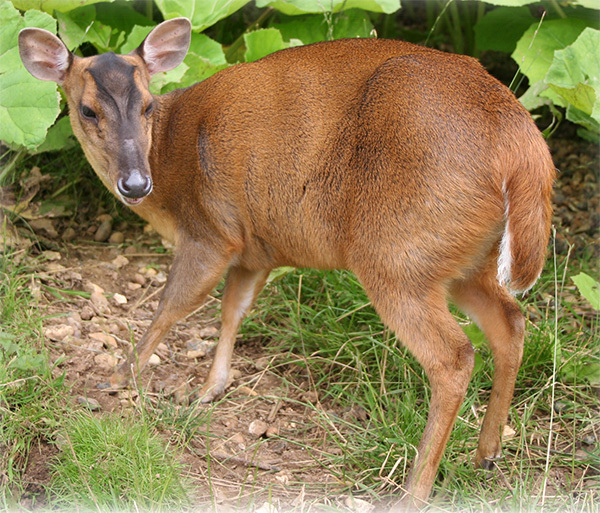 It is illegal to release muntjac deer into the wild. Fairly wide brown tail with white underside, which is held erect when disturbed. Life span: exceptionally, up to 16 years. Life span: exceptionally, up to 19 years. Favour deciduous or coniferous forests, preferably with diverse under-storey. Also found in scrub and over-grown gardens in urban areas. Generally solitary, or found in pairs (doe and fawn, or buck with doe), although pair-bonding does not occur. Bucks defend small exclusive territories against other bucks, whereas does’ territories overlap each other and with several bucks. Bucks may fight for access to does but remain unusually tolerant of subordinate males within their vicinity. 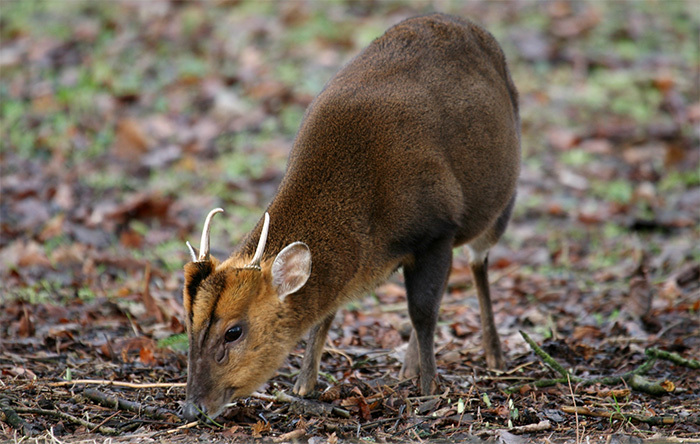 A common name for muntjac is “barking deer” resulting from the repeated , loud bark given under a number of circumstances. An alarmed muntjac may scream, whereas maternal does and fawns squeak. In contrast to all other deer species of deer in Britain, muntjac do not have a defined breeding season (rut). Muntjac are capable of breeding at 8 months old and breed all year round, with does able to conceive again within days of giving birth. 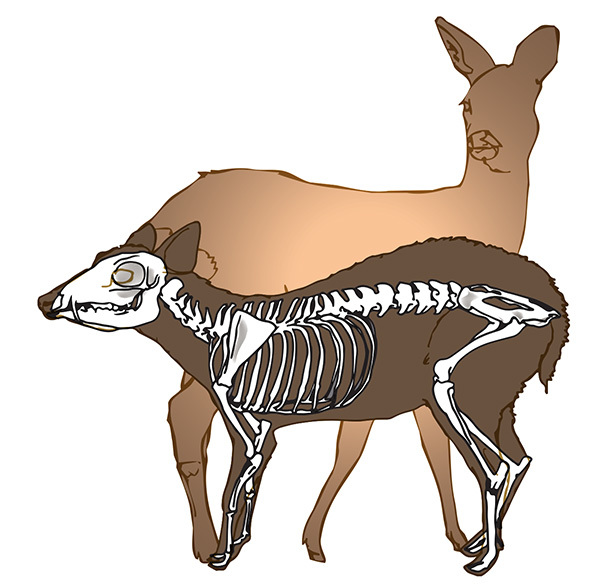 After a gestation period of 7 months the doe gives birth to a single fawn. Muntjac are active throughout the 24-hour period but make more use of open spaces during the hours of darkness where populations experience frequent disturbance. Peak times of activity are at dawn and dusk. After feeding, long periods are spent lying down and ruminating. Heavily pregnant does will have independent fawns and are a more humane target. Yearling does will also not have a fawn at foot. Unintentionally orphaned fawns will often return to their mother and should be shot.